The sun was shining for the final game of the season with Rio captaining Linnets, winning the coin toss and electing to shoot up the steep slope for the first half. Linnets made short work of the uphill battle and after some good work by Luca, Anthony was there to open the scoring with a neat finish. A fantastic drag back and turn by Oliver then sent three players the wrong way which opened up the pitch for Luca to take the ball and his pass found Oliver who netted to complete a great move. Some superb tackling followed by Rhys who won 4 challenges in a row before setting up Logan who was unlucky to see his effort strike the post. On another Linnets attack Oscar raced past the last defender and faced with a one-on-one vs the keeper, he brilliantly passed to Logan who had an open goal tap in. Fantastic to see such unselfish play. All 4 Linnets outfield players were then involved in the next attack, with Rhys passing to Oscar who found Logan unmarked in the box and instead of shooting, squared a great pass for Louis to strike home left footed. 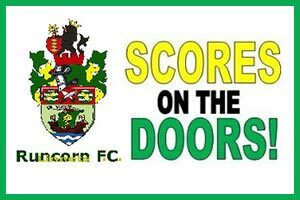 Total football from Linnets! As the first half drew to a close Oscar picked up possession in his own half and took two players on down the wing before playing a great cross to Logan, who made no mistake from a few yards out. A great end to a brilliant first half performance. Winwick started the second half well and scored a good goal for themselves, only for Linnets to respond immediately after Anthony did well to slide the ball in past the oncoming keeper. 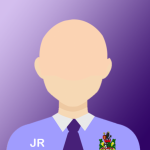 Winwick then tried their luck from range with a powerful shot that took a good save from Rio. Harry did great to win possession and play a great ball forward for Anthony to chase, only for a coming together with the keeper, leaving Luca - who had read the situation well - to strike the loose ball in for a goal from the edge of the area. Running the clock down, Logan held the ball up near the corner flag before brilliantly turning his two markers and picking out Rhys in the box who hit a great first time finish which flew in off the post. The final action of the game saw Oscar make a speedy recovery after being fouled to grab the final goal for his team. Winwick completed the scoring with a fantastic free kick which drew applause all round. Well done to both teams and what a fantastic season for Linnets who now can't be caught at the top of the table. RUNCORN Linnets' under 12s Sunday Blue team have a prestige cup final at Chester FC's Deva Stadium to look forward to. The Blues overcame Chester Nomads 5-3 in a thrilling semi-final at Halton Sports to move to within one game of silverware success in their debut season. Sunday's Chester and District JFL Knockout Cup clash was an epic encounter brimming with brilliant football, some truly outstanding goals. As well as their goals they hit the woodwork four times and were through on goal on several occasions, with Nomads' goalkeeper their standout performer. Linnets could have been 4-0 ahead before taking the lead with Jack Rigby's rasping drive from the edge of the penalty box halfway through the first half. Nomads equalised against the run of play after taking advantage of a defensive error and they scored again within minutes. Both goals could have been given off-side, with Nomads benefiting from borderline decisions. Linnets kept their heads up and parity was restored when man of the match Jake Hill broke clear of the defence and drilled the ball into the far corner of the goal with his weaker right foot. The Blues had several chances to score in the second half as they continued to boss proceedings. But they were caught out by a late sucker punch as Nomads headed in a corner at the far post with just four minutes left on the clock. Filling in at left back, Jake Hill fired a shot inches over the bar before latching onto William Harrison's long pass to curl the ball into the corner of Nomads' net in the last minute of normal time. There was no stopping Linnets after that but their fourth goal came from an unlikely source with Isaac Evans drilling an unerring shot into the bottom corner after the ball had broke loose from a corner. Josh Senior joined skipper Luke Smith (twice) and Jake Hill in hitting the woodwork at some point in the match after lobbing Nomads' keeper. His parried shot then fell kindly for Callum Turrell to smash home a rebound and put the game to bed. The Blues came into the match missing classy midfielder Josh Oakes and carrying a few injuries but all of their players - Harvey Batters, William Harrison, Luke Smith, Jack Rigby, Alfie Hayes, Isaac Evans, Callum Turrell, Jake Schwarze, Jake Jill, Josh Senior and Daniel Lampkin - worked their socks off and made their coaches and parents proud. Bring on the cup final in two weeks' time! And Linnets have another Chester and District JFL cup semi-final to play before then too.